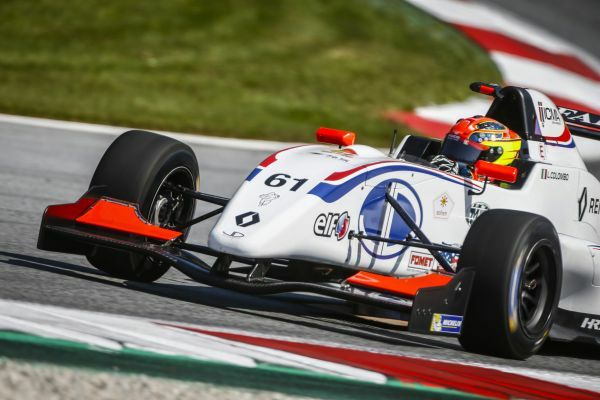 At the Red Bull Ring on Friday, Victor Martins (R-ace GP) scored his first ever Formula Renault Eurocup pole position. After leading the way in the collective tests, the French member of the Renault Sport Academy did it again in qualifying with a lap of 1:29.288s. On Sunday’s starting grid, Vitor Martins will line up ahead of Lorenzo Colombo (JD Motorsport) and two other Renault Sport Academy drivers, Christian Lundgaard (MP Motorsport) and Max Fewtrell (R-ace GP). 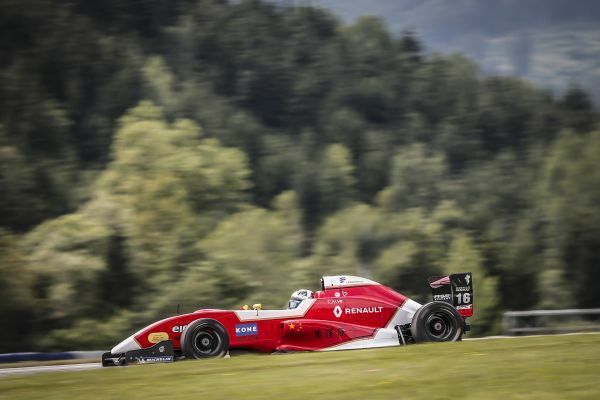 After a nearly two-month pause, the Formula Renault Eurocup was back on track with two 50-minute collective tests on the daunting Austrian circuit. In the morning, the times quickly fell under the impulse of Logan Sargeant (R-ace GP), Neil Verhagen (Tech 1 Racing), Christian Lundgaard and Alex Peroni (MP Motorsport). Max Fewtrell (R-ace GP) then took over and held on despite the challenges of Logan Sargeant and Yifei Ye (Josef Kaufmann Racing). With eight minutes to go, Max Fewtrell was the first to improve, but Yifei Ye and Christian Lundgaard managed to go quicker at the end of the final sprint were speeds continue to increase. Under darker afternoon skies, the Chinese driver led the way until the last ten minutes when first Christian Lundgaard went quicker, then it was Lorenzo Colombo and Max Fewtrell. In the final seconds, Victor Martins moved to the top of the timing screen with a session best lap of 1:29.59s. The Renault Sport Academy was followed by Yifei Ye and Lorenzo Colombo. Qualifying for race one, scheduled for 10:05 Sunday morning, was the last order of business for the day. Several drivers took their turns at the head of the class in the first group before Lorenzo Colombo took matters into his own hands five minutes from the chequers. Max Fewtrell was a contender but, the Italian put in a 1:29.335s lap to guarantee a front row starting position ahead of the Briton and Yifei Ye. In the second group, Richard Verschoor (Josef Kaufmann Racing) and Victor Martins had quite a duel. Swapping the top spot several times, but in the end it was Victor Martins taking pole position with a time of 1:29.288s ahead of Christian Lundgaard who slotted in between the two others in the waning seconds. Group A - Group BOn Sunday, Victor Martins will start ahead of Lorenzo Colombo and his Renault Sport Academy partners, Christian Lundgaard and Max Fewtrell. Richard Verschoor and Yifei Ye will share row three. On row four it will be Alex Peroni and Charles Milesi (R-ace GP), with Alexander Smolyar (Tech 1 Racing) and Oscar Piastri (Arden Motorsport) will start from row five. Victor Martins (R-ace GP): “I am so happy to take my first position so early in the return of the Formula Renault Eurocup! It is the best way to begin the weekend and it shows that the work pays off. Lorenzo Colombo (JD Motorsport): “I think this is third time I have led my group. It shows that I am one of the fastest drivers in the field and it makes my determination greater after our so-so weekend at Monaco. 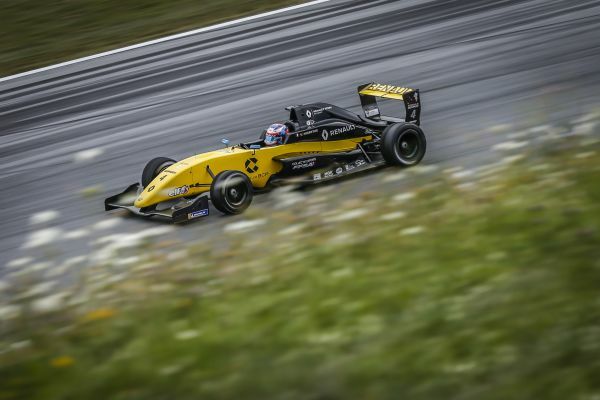 Christian Lundgaard (MP Motorsport): “We are disappointed not to be on pole, because the car was fantastic. Everything came together to get it, but I couldn’t put it all together on my final lap. I think we need to look at our strategy some more to avoid traffic, but I need to do better tomorrow morning. 27 drivers with many contenders for victory!